Port Royal: The most significant Port Royal beachfront property currently available! 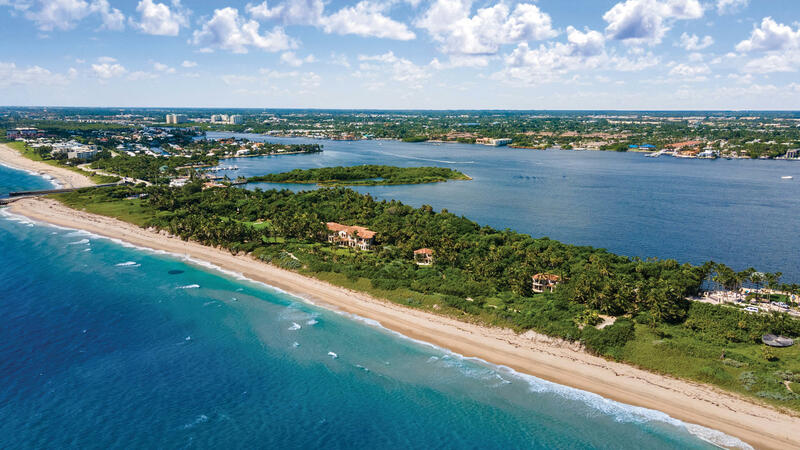 Beautifully situated directly on the Gulf of Mexico, this magnificent estate property boasts two hundred and seventy seven feet of sugar sand beach steps from the Port Royal Club. Over four acres of property and a stunning home of just under 16,000 square feet, this property is stunning in every detail. Constructed in 2009 by Newbury North this home lives up to the reputation of the builder, with the highest quality finishes from around the world. Featuring five bedrooms and six baths this home has it all. An exquisitely finished gourmet chef's kitchen, amazing great room with with sets of French doors opening onto an oversized terrace facing the Gulf of Mexico. So many more features including retractable "glass walls" large pool , spa and sunning deck. A car collectors dream with a seven car garage with additional storage and lush, detailed tropical landscaping provide the ideal lifestyle setting for the most distinguished taste! Associate Port Royal membership eligibility walking distance to the club! Continuum I South Tower: A monument to the endless pleasures of sun, sea and city, Penthouse 2 at Continuum is as spectacular as the views it commands. Set atop the south tower of one of the city’s most exclusive developments, this one-of-a-kind residence manages to be as calming as the ocean and as invigorating as Miami itself. Inspired by the property’s unique location, Max Strang’s vision of majestic interiors combine rhythmic terraces with natural textures and lush greenery. A space not just for living, but feeling alive, Penthouse 2 is a tropical paradise in the heart of the city. And way above anything you’ve ever seen. Port Royal: H.8607 - La Capanna represents one of the most significant beachfront residences ever created in Naples. Old world Italian renaissance era ambiance takes inspiration from an ideal beachfront location giving it the feel of a Mediterranean seaside resort. Beyond a gated entry, park-like grounds part to reveal a palatial 18,172 sq. ft. estate home that is unsurpassed. Includes a home theater, beach side game room, fitness center, pool side cabana with pergola covered spa, his and her studies, Guest House, 5-bay collectors garage and finishes that redefine luxury and quality. Stunning two story rotunda welcomes guests and offers immediate Gulf views. Relax or entertain in this handsome lounge, featuring a full Mahogany bar with emerald marble bar top, marble floors and a burnished faux finished coffered ceiling. Additional features include a 500 bottle wine room, state of the art electronics, whole house Crestron automation, interactive fountain with LED lighting and much more. Relax in the Zero Edge pool/reflection pool and poolside cabana with full kitchen that is ideal for entertaining. La Capanna is a masterful blend of design, craftsmanship & artistry by A. Vernon Allen Builders.